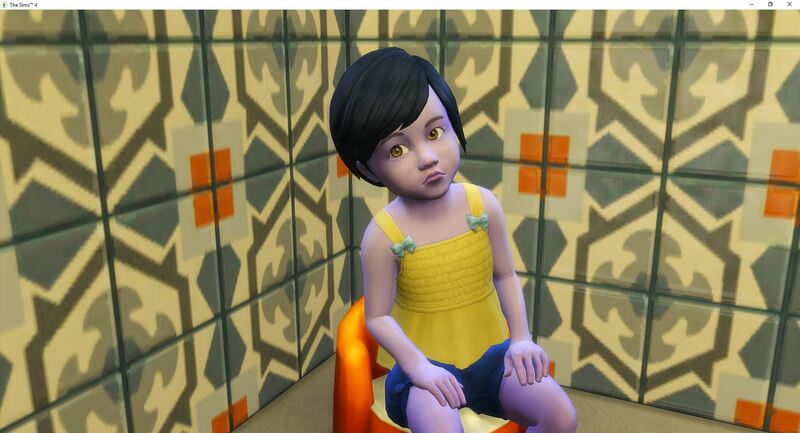 Penny is not impressed with the potty training, but she is a good girl and sits on the potty before going to bed for some sleep. 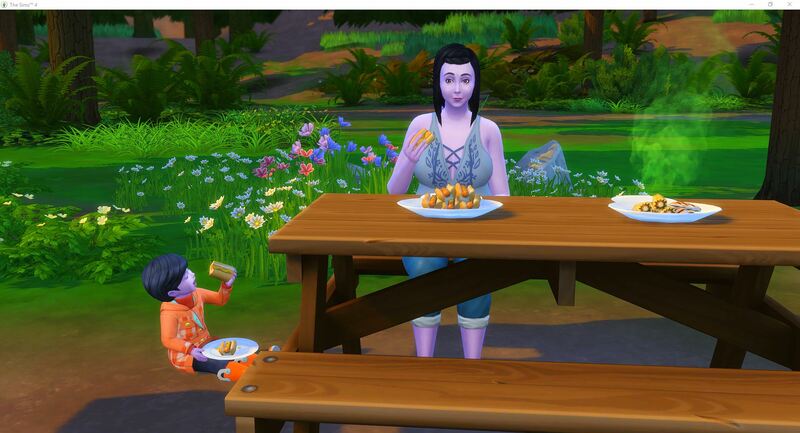 I was thinking Tara needed to make the trip to Granite Falls in the spring, but it is actually the summer when they need to go. 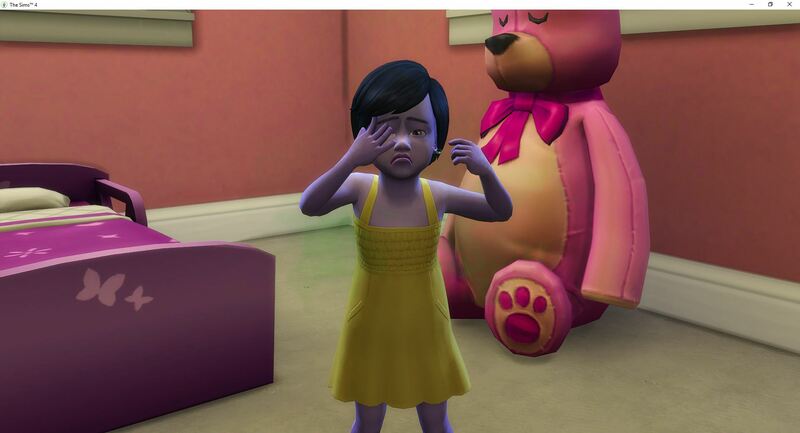 That means Penny was born a full week too soon. Yeah. Tara heads off to work, leaving Penny home with Nolan. Penny tears up the house. She was literally queuing them up one after another. 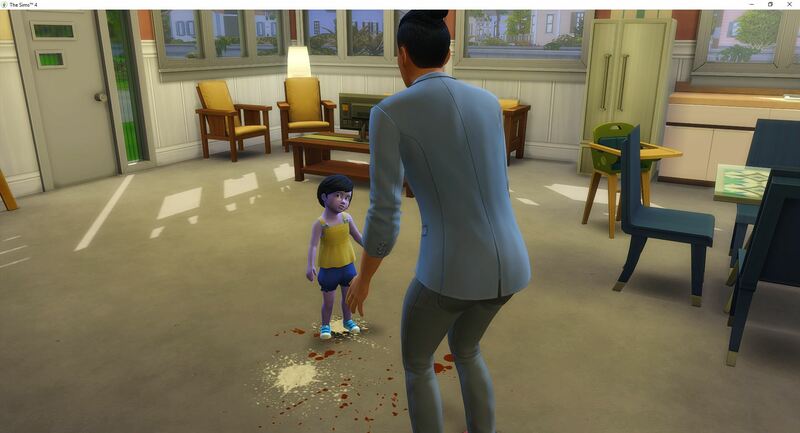 Even when Nolan catches her making a mess, he doesn’t scold her. Whatever, it is building her creativity. He does play with her for a little while. Then she is back to making messes. She definitely needs more toys. 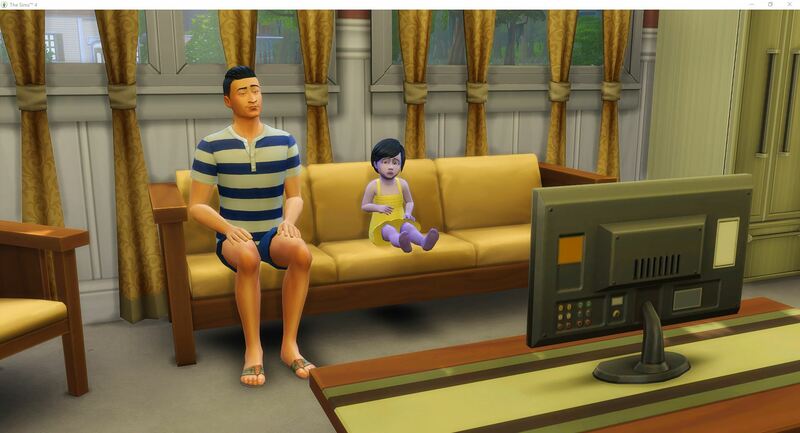 Eventually she joins Nolan to watch some TV before Tara comes home. 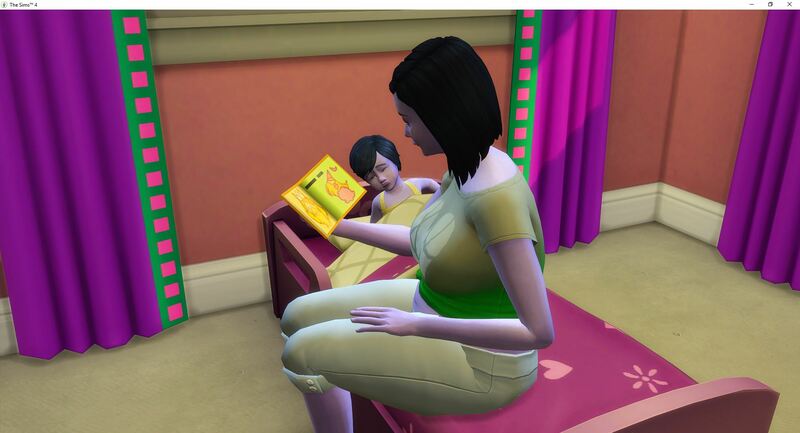 Nolan puts Penny to bed while Tara works on her charisma. 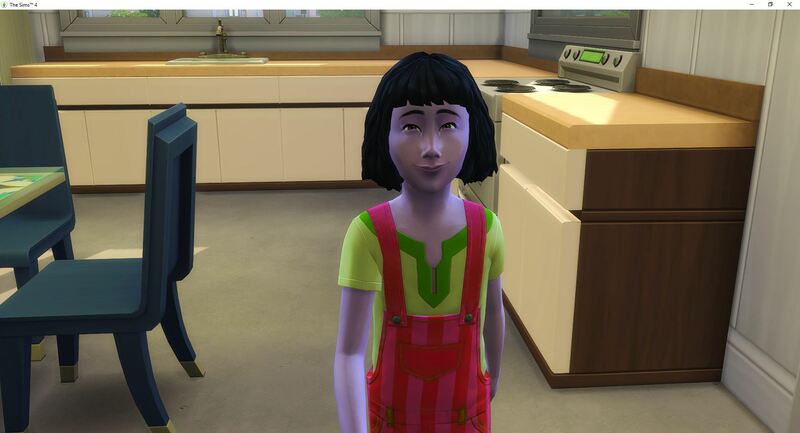 Unfortunately, Penny has a nightmare and doesn’t stay in bed very long. 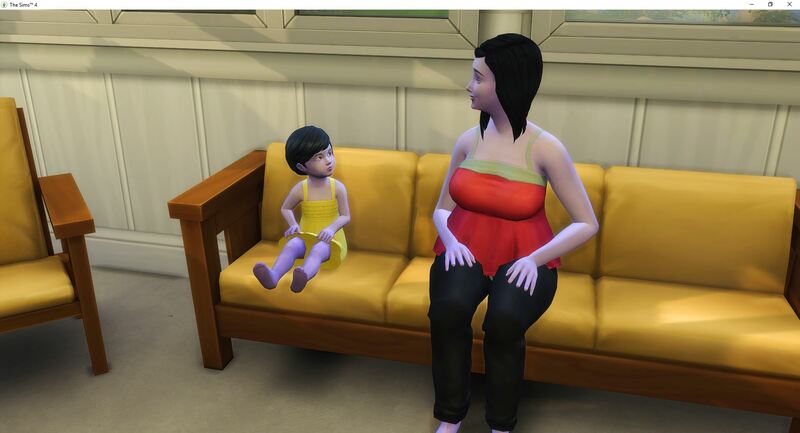 And there isn’t a controllable sim in the house to take care of her. Penny does get one of her needs addressed but she still needs a bath and a diaper change. 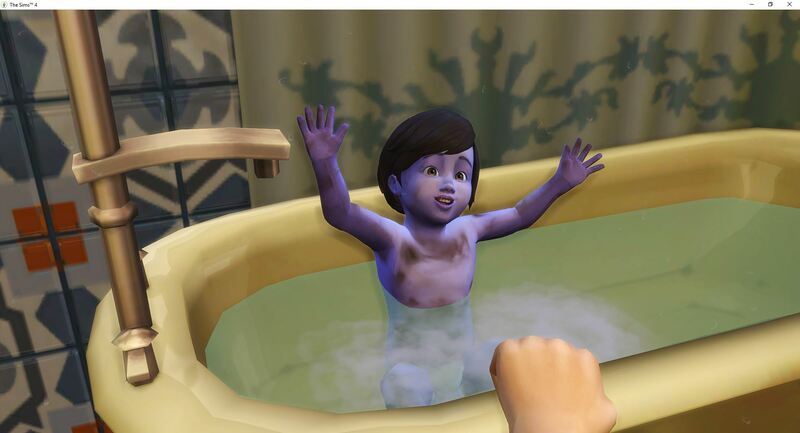 Nolan asks what he can do to cheer her up, and she is so excited to ask for a bath. She is so filthy that it takes the entire bath before the layer of filth is washed from her body. 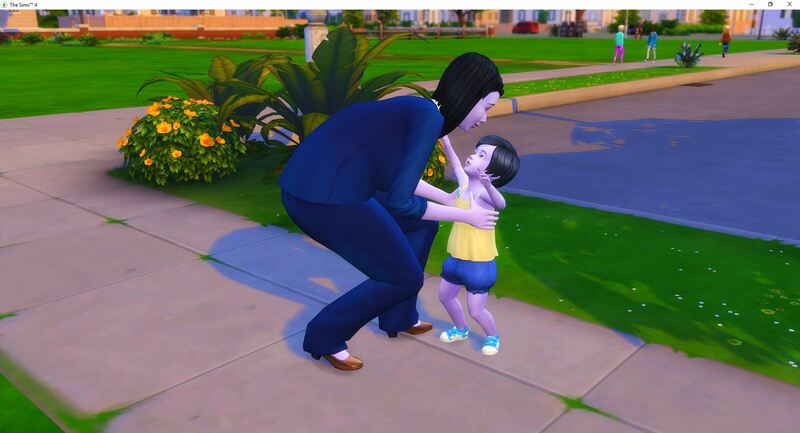 Sweet moment between two uncontrolled sims. Then Tara puts Penny to bed. 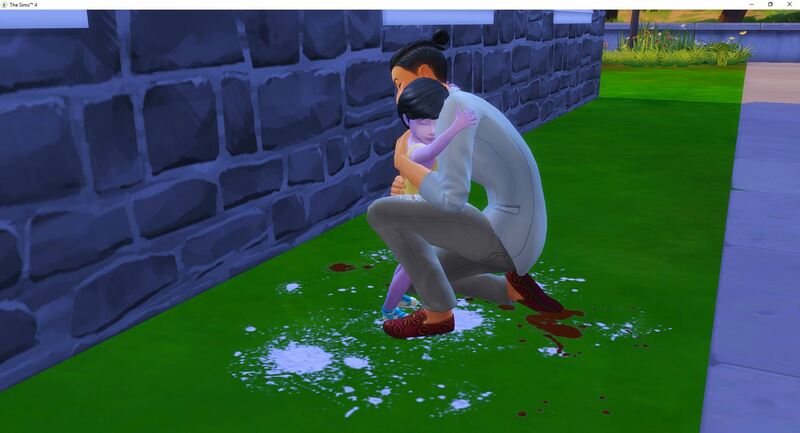 The notification that Deacon died pops up, which means Juliana isn’t that far behind. 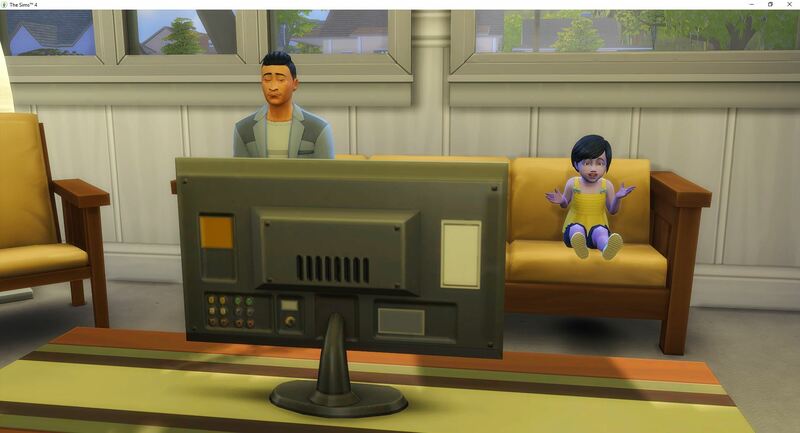 Dashawn, Tara’s toddler brother, will still be way too young and will be adopted out to another family, unfortunately. 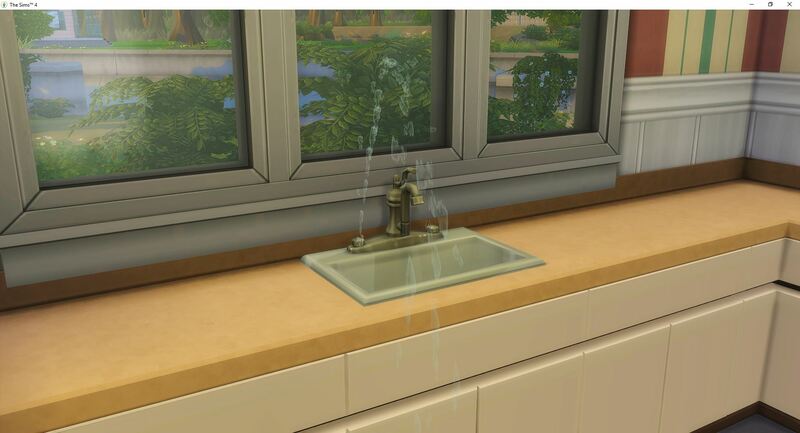 The first broken item in the house – Nolan will fix it during the day. 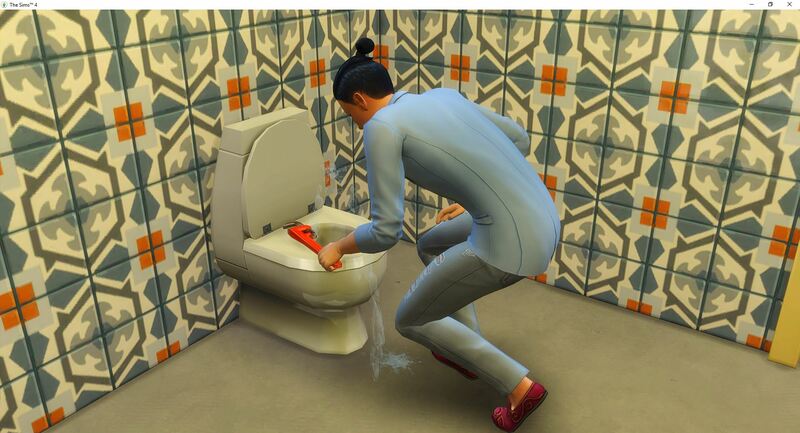 It is the day of broken items, because the toilet also breaks later that day. Nolan will also repair that. 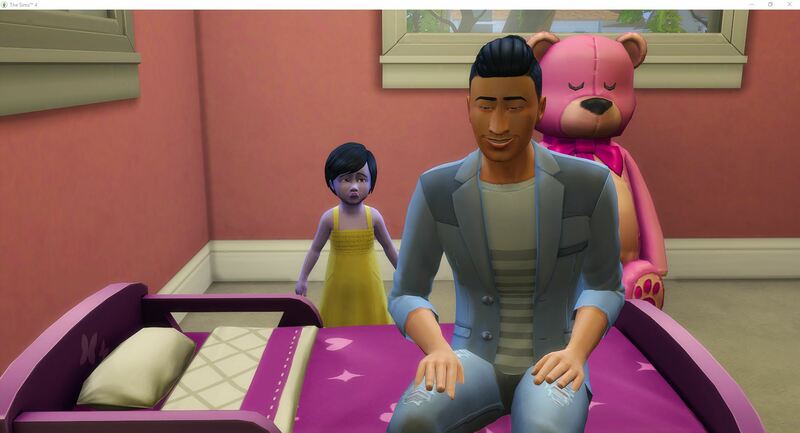 Penny wants a story, but by the time they get to the bed, Nolan has dropped the action, so no story for Penny. 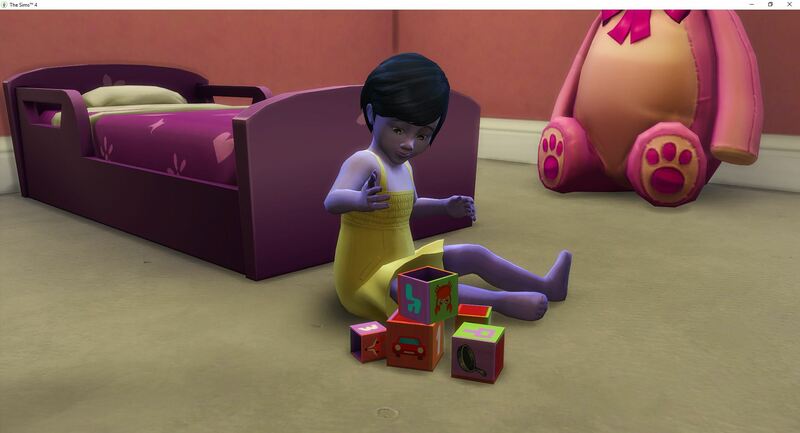 She does decide to play with the blocks for a little while, for the first time. Then it is back outside to make a mess. 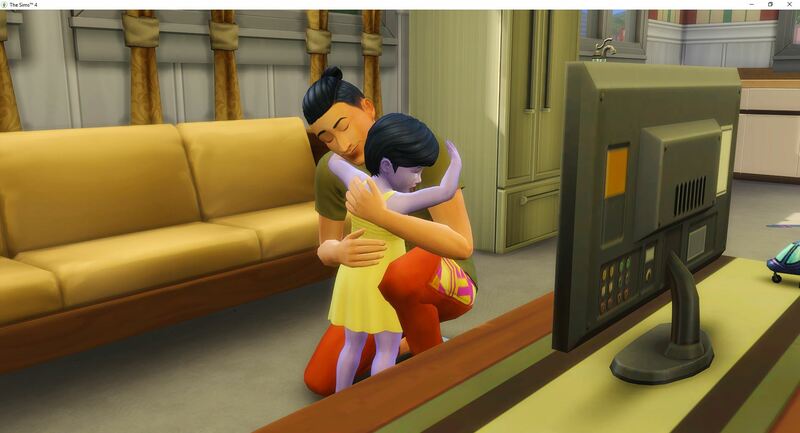 Nolan follows her to give her hugs. 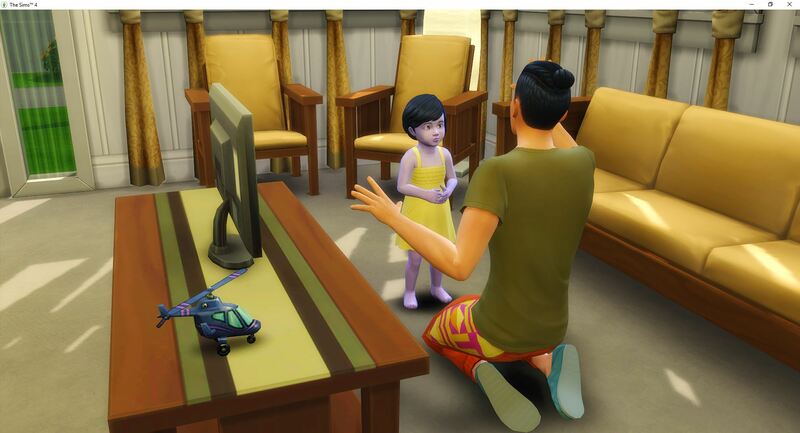 I wish they would scold them autonomously so they could learn whatever it is they learn. At least she is building creativity. Tara comes home and they work on communication. 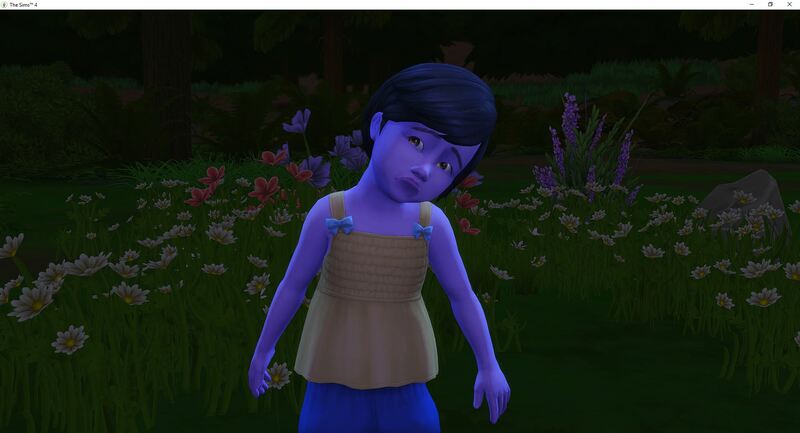 The first challenge will be getting Penny to Happy Toddler. 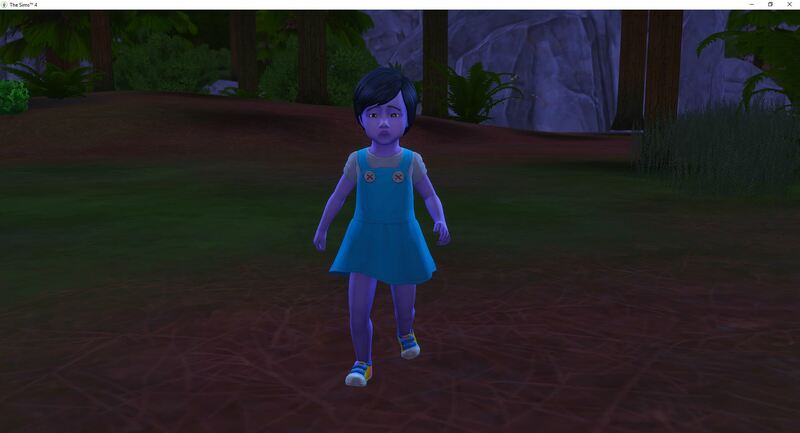 Tara was a Top-Notch Toddler, but at this point I am wondering if Penny is going to make it that far. Tara pushes Penny a little too far, tries to get a little too much out of her. 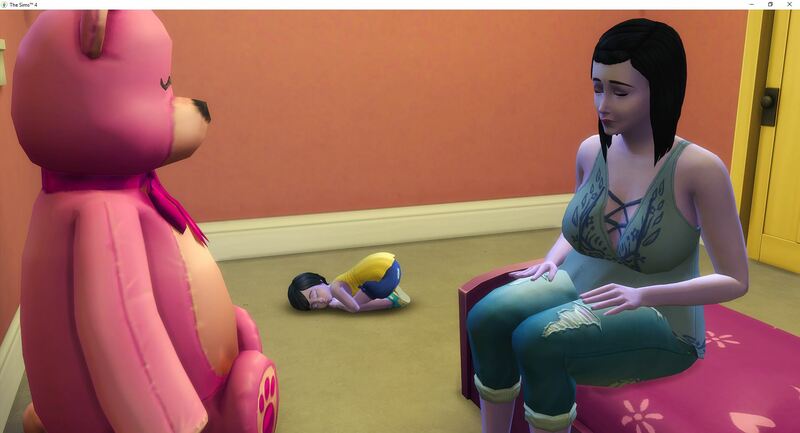 She waits for her to wake up so that she can put her to sleep. It has been a long day. 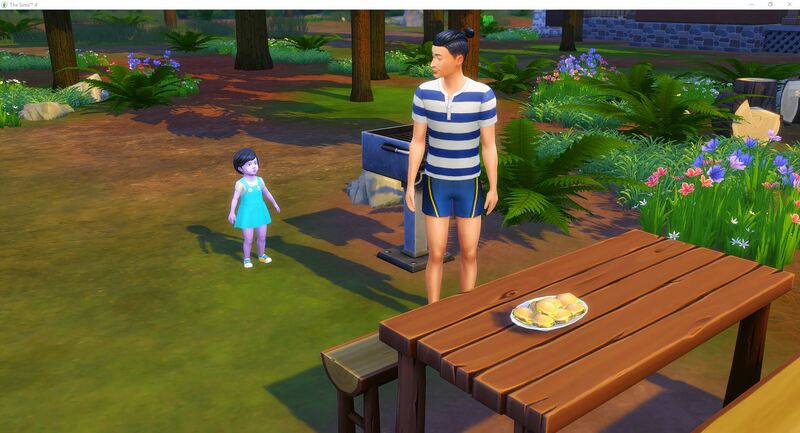 Nolan and Penny spend the day being productive – Nolan teaches Penny to talk, and she reaches communication level 3. 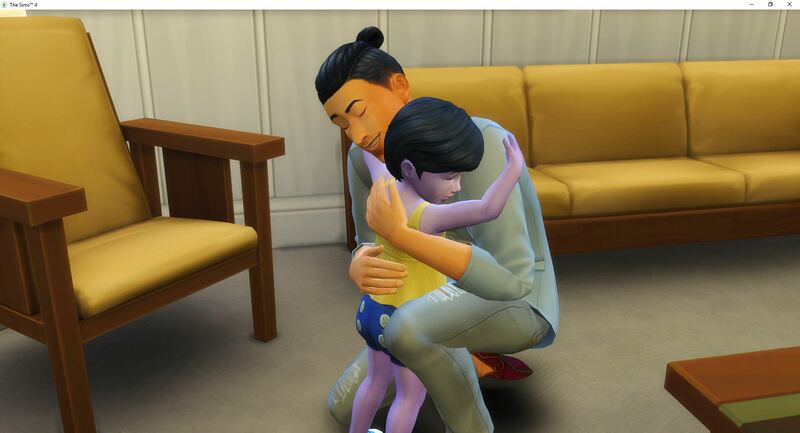 Afterwards, Penny needs comforting. 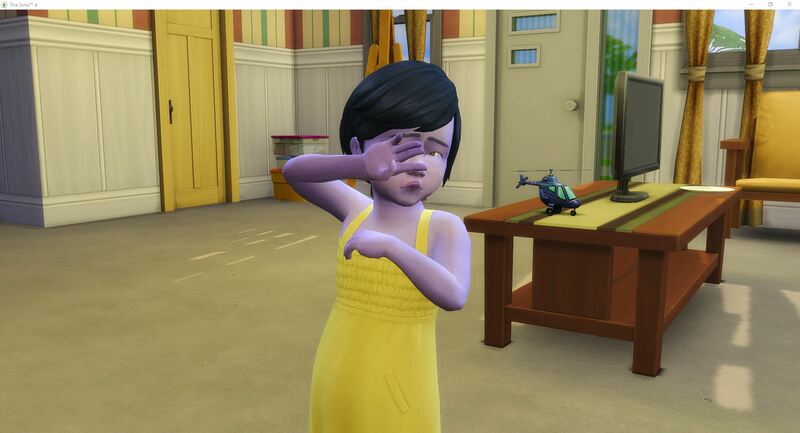 She is still very sad because of Deacon’s death. Penny runs out to greet Tara when she comes home from work. This is such a cute action. Tara picks her up and then spends the rest of the evening working on her thinking skill. 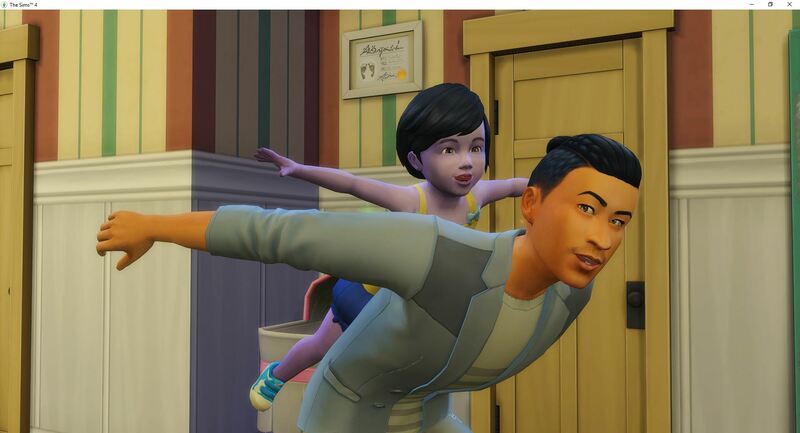 By bedtime, Penny is almost a Happy Toddler. 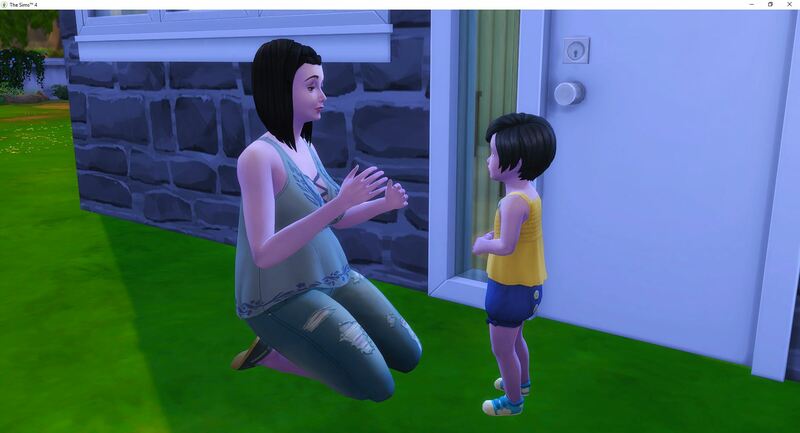 I really doubt she will be a Top-Notch Toddler. 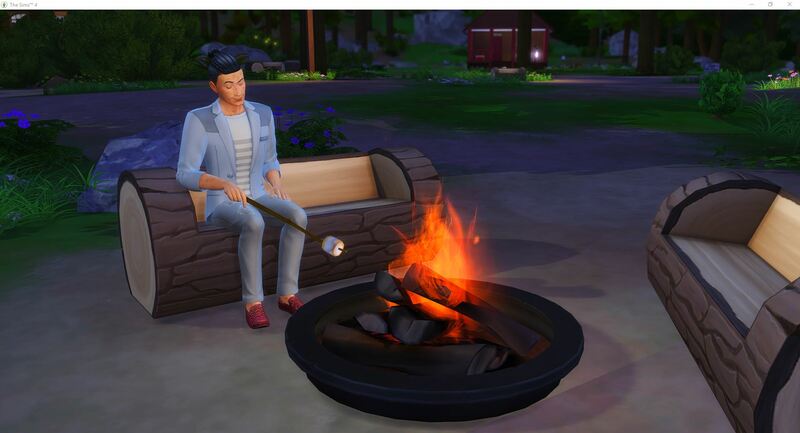 It is time to try a trip to Granite Falls. 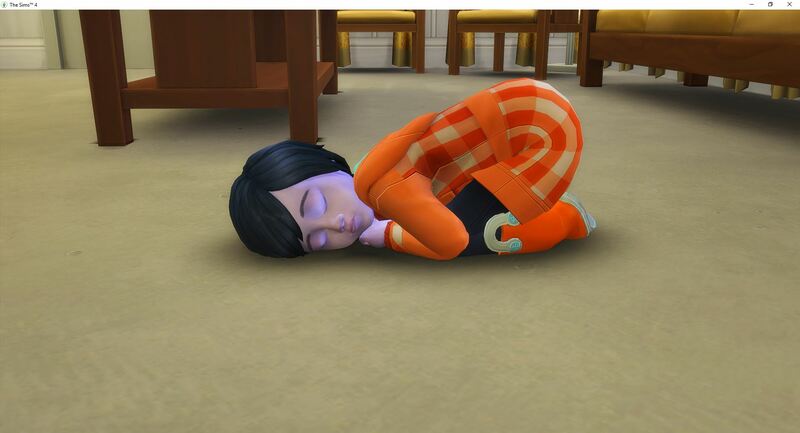 I feel the same way as Penny. When they arrive, there is time to kill while they wait for the plants to grow. 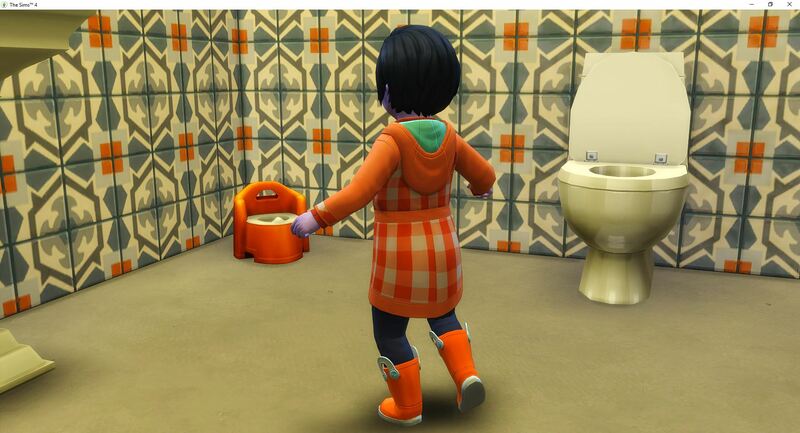 That means Penny gets to sit on the potty. 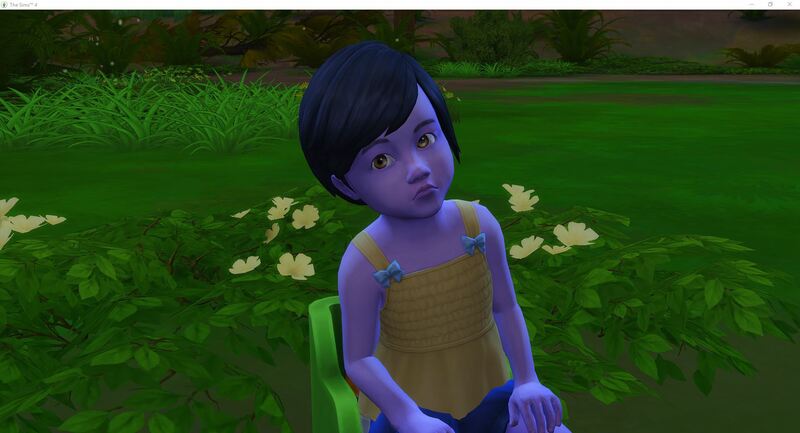 With potty training maxed, Tara moves on to working with her on her thinking. 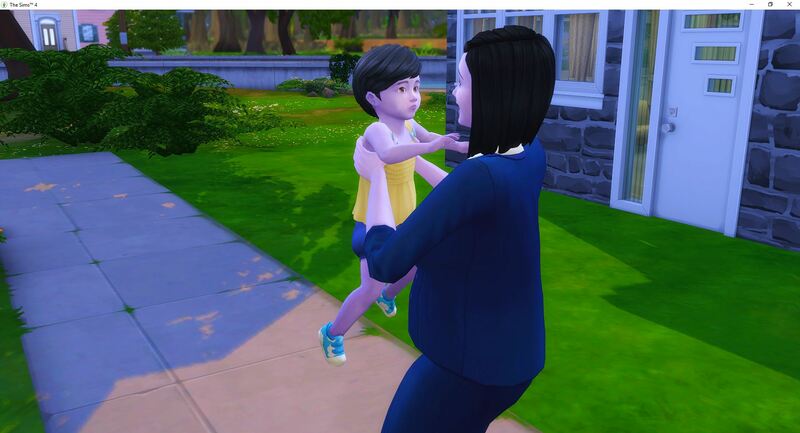 If nothing else, she is finally a Happy Toddler. 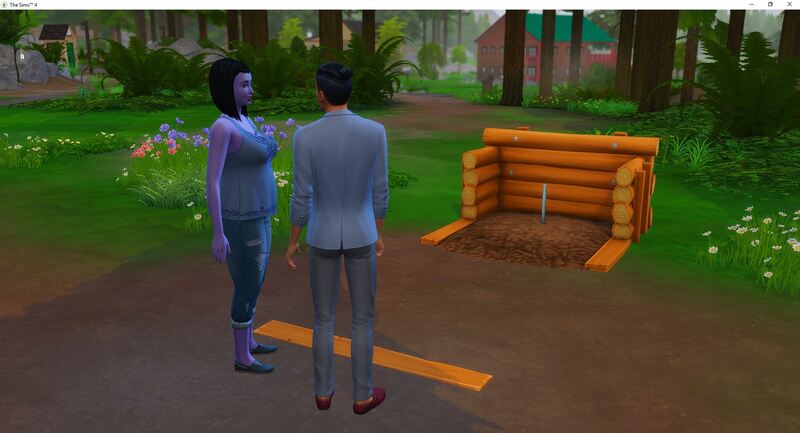 A brief moment of togetherness, then Tara heads out to do so fishing and Nolan disappears from the campsite never to be seen again until they go home. Penny spends most of her time playing in the tent, but she does find the toy box once. Tara did make some food and leave it out for Penny before left. 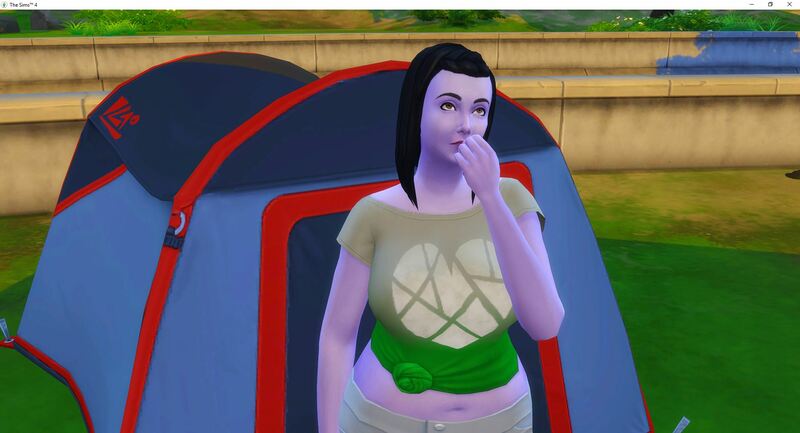 It got cold during the day and Penny didn’t think to change into her cold weather outfit until Tara came back to camp. 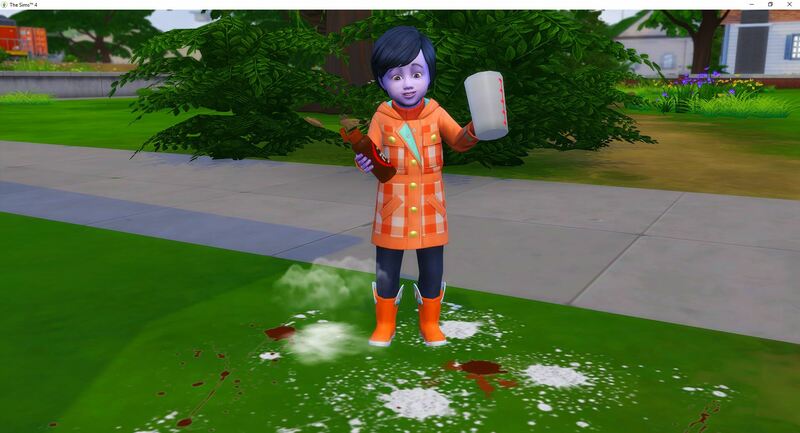 Even here, she is still making messes. 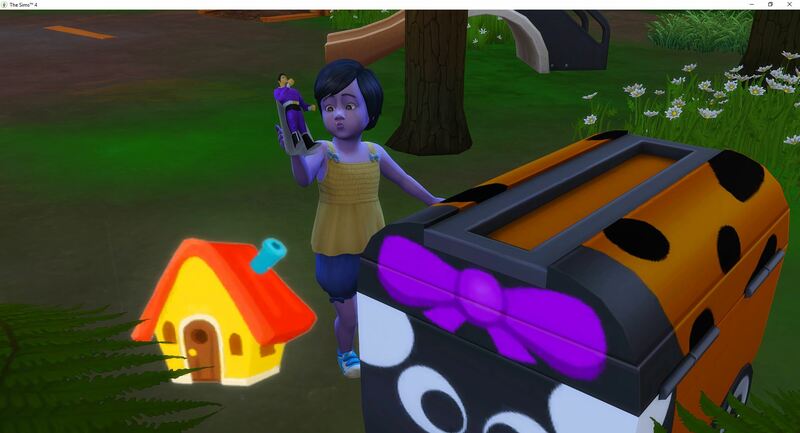 This is what happens when a toddler is left unsupervised. 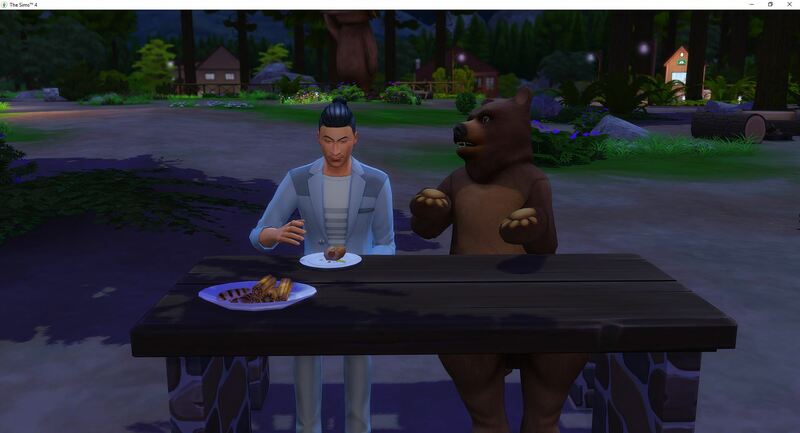 Nolan meets a bear and there goes his alone-time. Nolan really enjoys his alone time during this trip. He has not been back to the camp site since they arrived. 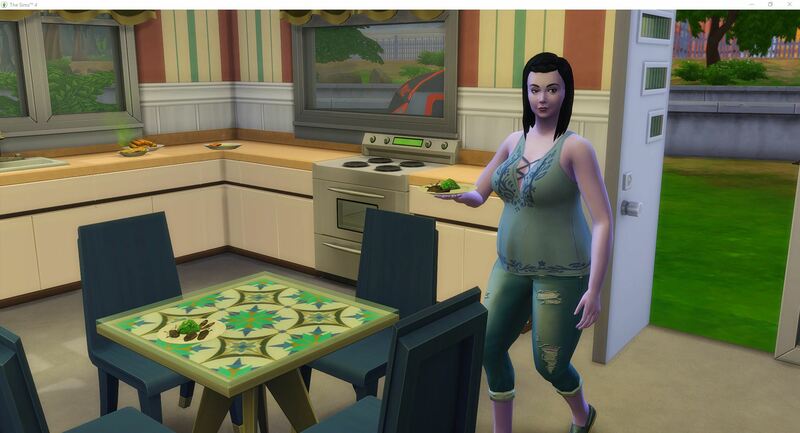 Tara makes some hot dogs and Penny is on them the minute she sets the plate down on the table. They change into hot weather clothes and then head into the National Park. 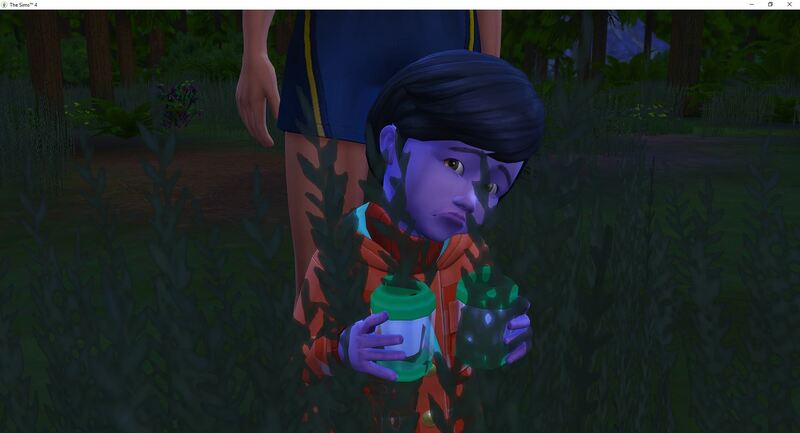 While Tara is running around collecting unidentified plants, Penny and Nolan are doing whatever they are doing. 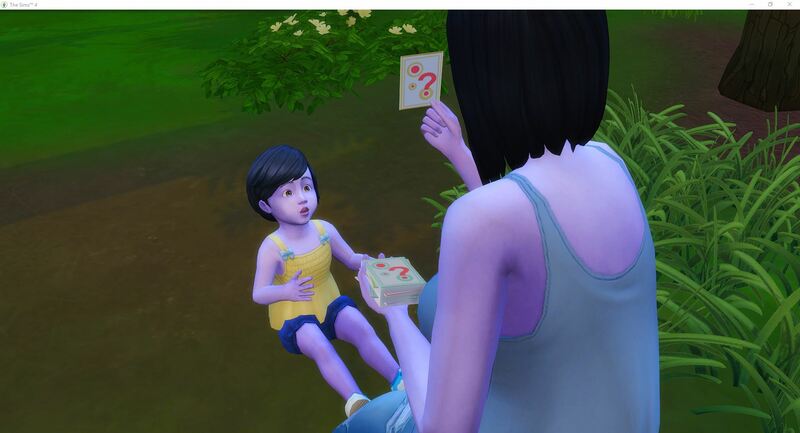 When I checked on Penny, she has level 4 in Communication, Movement, and Imagination. 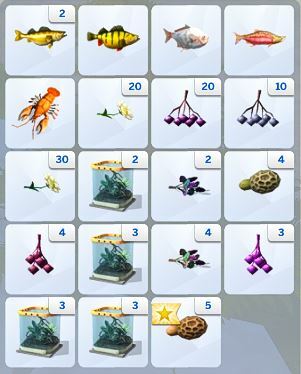 Tara has collected 9/10 of the unidentified plants and she just needs the last mushroom. As they are trying to find the entrance to the Deep Woods, it is decided that maybe they should take the night and get some sleep. 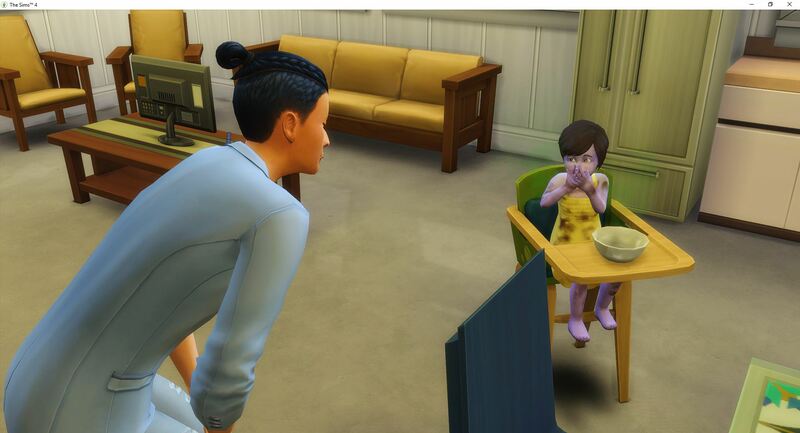 Penny really has to pee and having just mastered the potty, she really is trying hard to not use her diaper. 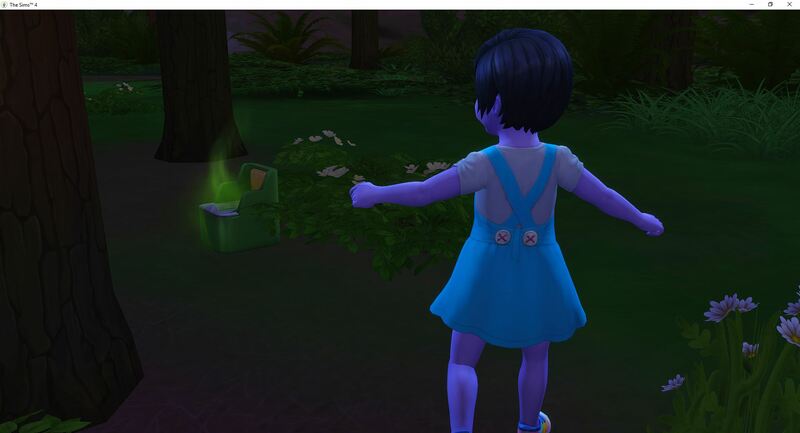 They head back to the campsite and as the adults head to the tent, Penny runs to the potty. 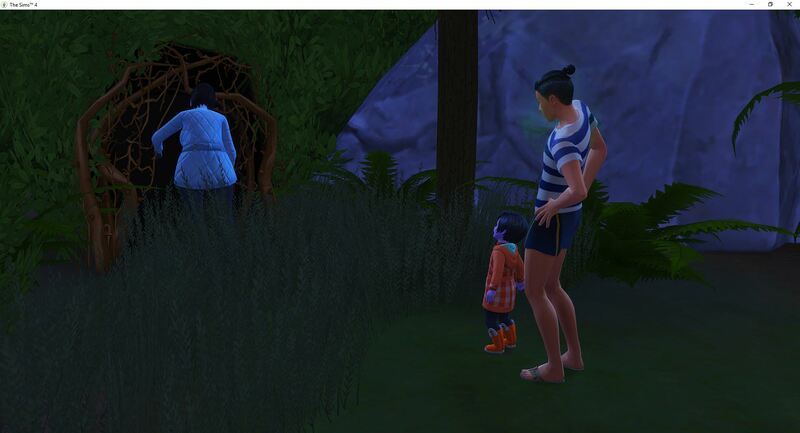 With time running down on the second day of their vacation, it is time to get them up and send them back into the Deep Woods. They get just enough sleep to carry them through. Tara pulls them along with her but she goes first. Nolan and Penny hang back and wait. 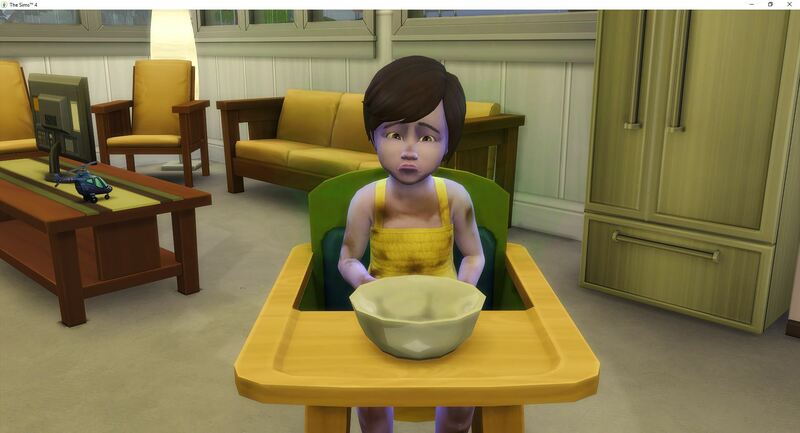 Shades of Merry – Penny is two-handing her milk as she waits for Tara to call them to join her. Penny never leaves the spot where she comes through into the Deep Woods. 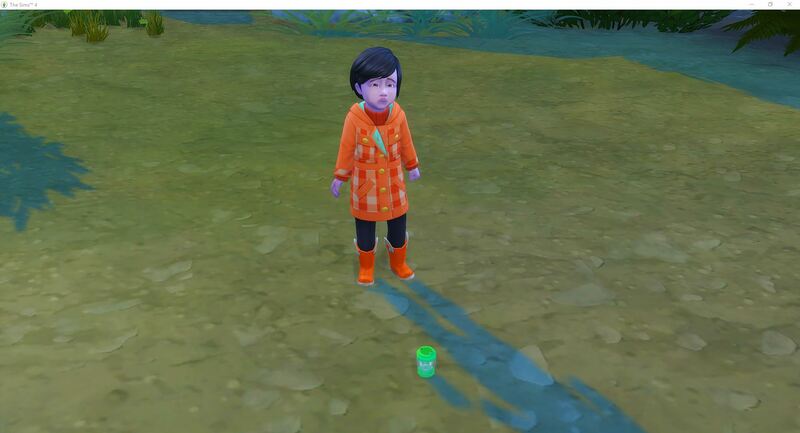 She just stands there and drinks her milk. This is her third cup. With all ten unidentified plants in her inventory, and their vacation at an end, everyone heads home. 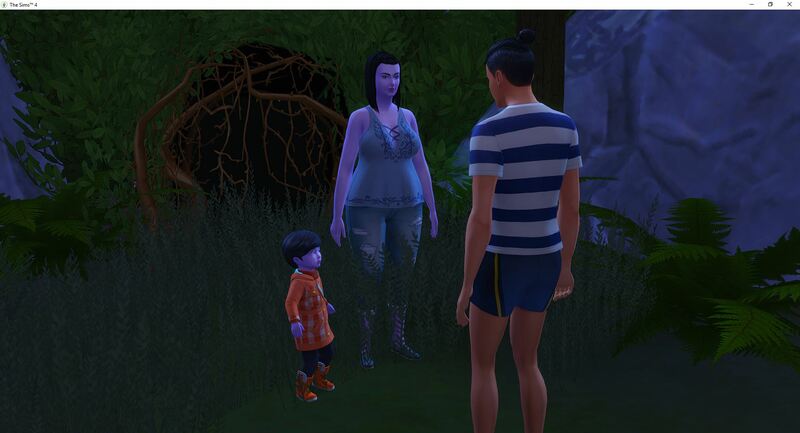 Tara and Nolan head to bed and Penny runs for the potty again. 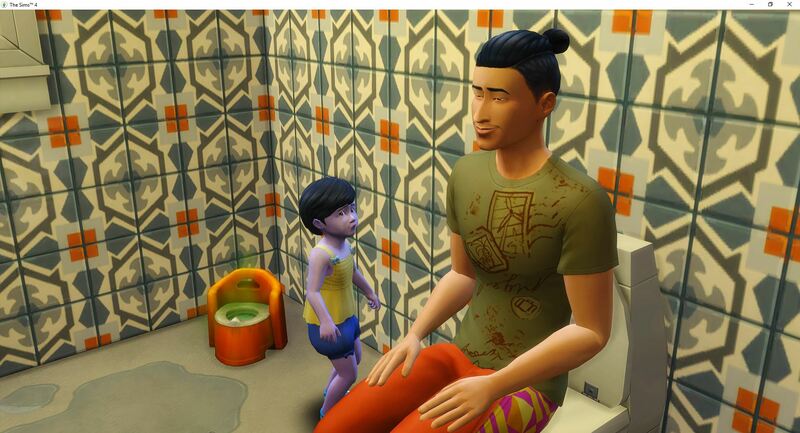 Her needs were so bad that she wasn’t able to finish using the potty. She went for food, then passed out. 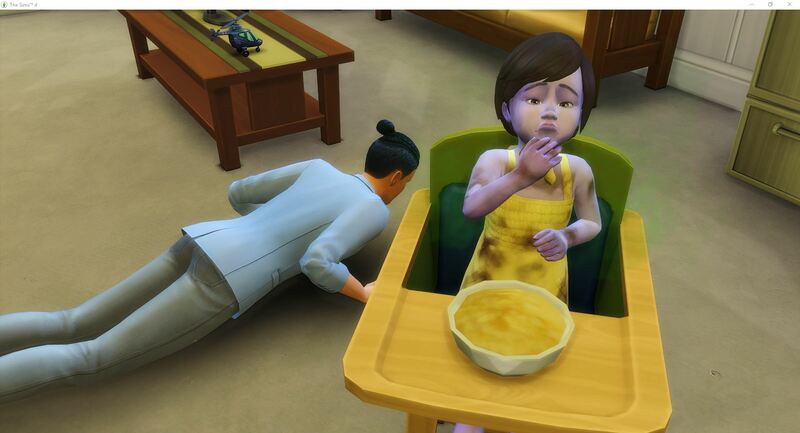 When she woke up, she finished her food, then went back to finish using the potty. 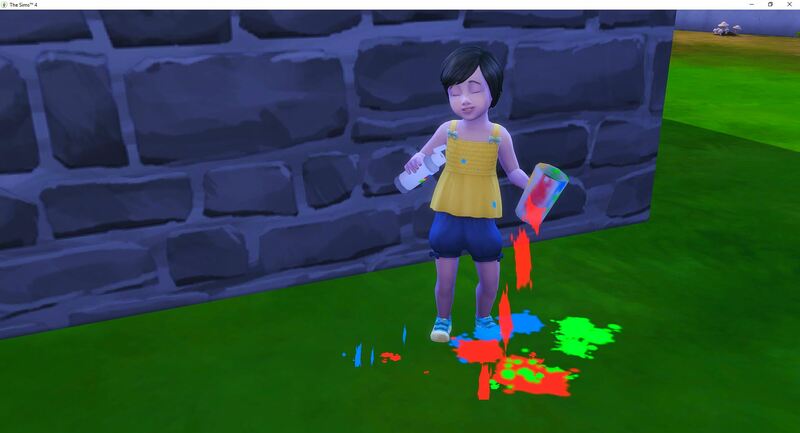 Then, instead of going to bed, she went out to make a mess. Finally, she went to bed. 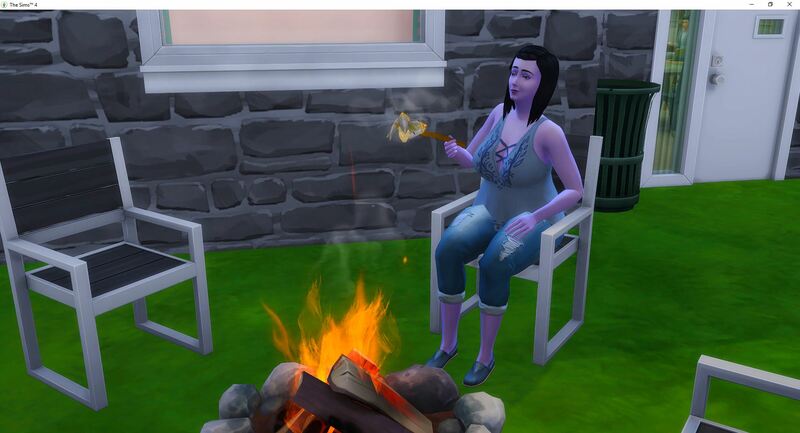 Instead of taking care of Penny, Tara is outside grilling beetles. 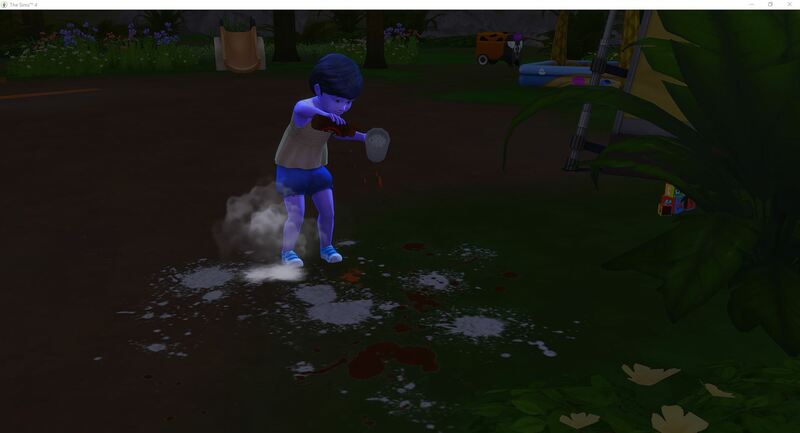 Yeah, Penny is definitely not going to be a Top-Notch Toddler. 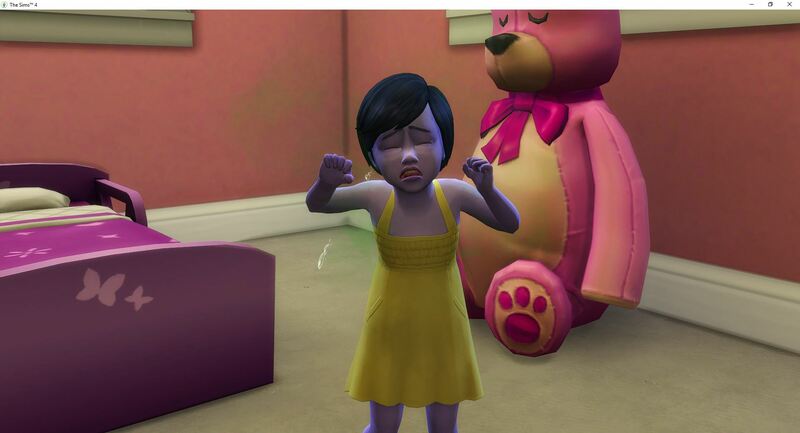 But, she is a Happy Toddler, so at least there is that. Tara starts identifying the unidentified plants. This also builds her herbalism skill so it is very productive. When Penny’s bar starts bubbling, Tara bakes her a cake. 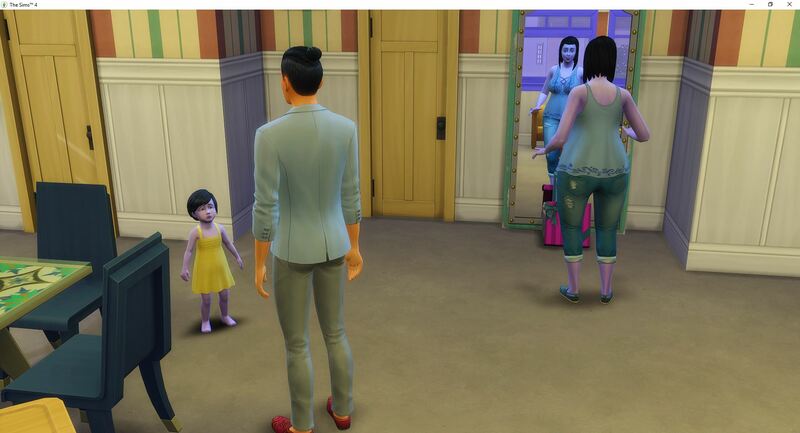 She passes out twice during the process so Penny waits and watches TV until Tara can stay awake long enough to help her blow out her candles. That took forever. 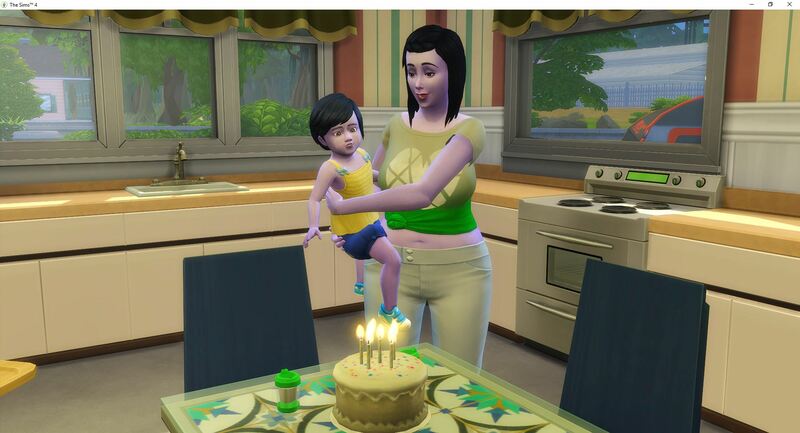 I was wondering if Penny was going to grow up on her own before Tara could get her to the cake. 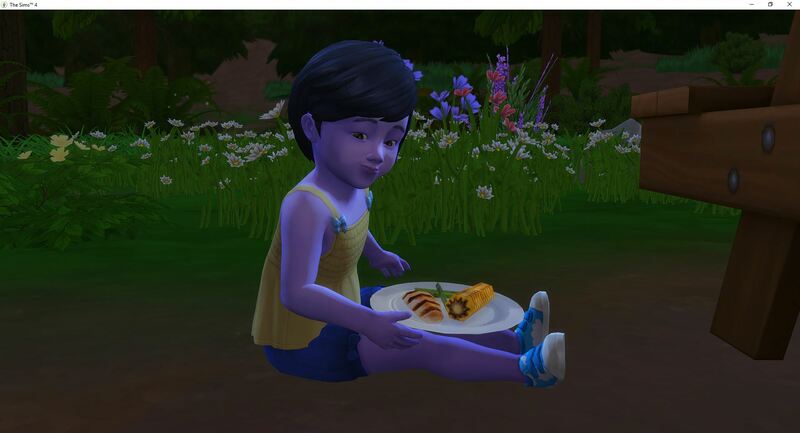 Penny rolls Creative and Social Butterfly and earns Happy Toddler.